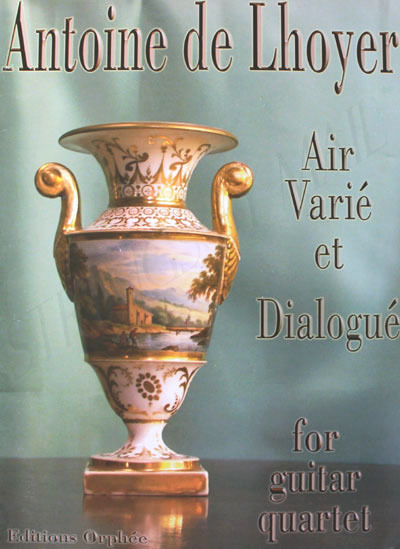 The Air Varie et Dialogué by Antoine de Lhoyer is the earliest guitar quartet known. Similar to many concertante chamber music works of the period, the four guitar are treated in this Air Varie et Dialogue more or less equally. While Guitar I seem to dominate, the other instruments are given important solo passages as well, in full compliance of the stated dialogue aspect of the composition. The manner in which the theme and its variations are taken by each guitar in turn, immediately suggests the representation of a conversation among friends.